Also visit History and Women for interesting biographies on fascinating women! 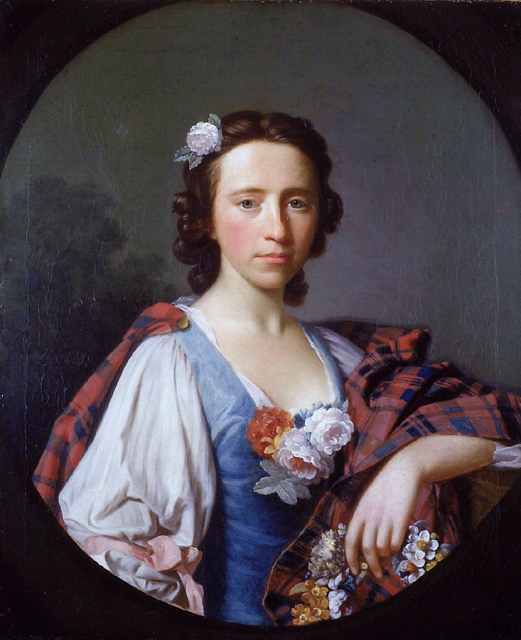 In Scotland's rich history, Flora MacDonald is revered and remembered to this day as a Jacobite heroine. When Flora was a child, her father died. Back then, bride kidnapping was common, and her mother was soon abducted and married by a man named Hugh MacDonald from Armadaleon the Isle of Skye. In 1746, Flora was 24 years old and the Jacobite Risings was in full swing. After the Battle of Culloden, Bonnie Prince Charlie took refuge on the island of Benbecula where Flora was residing at the time. 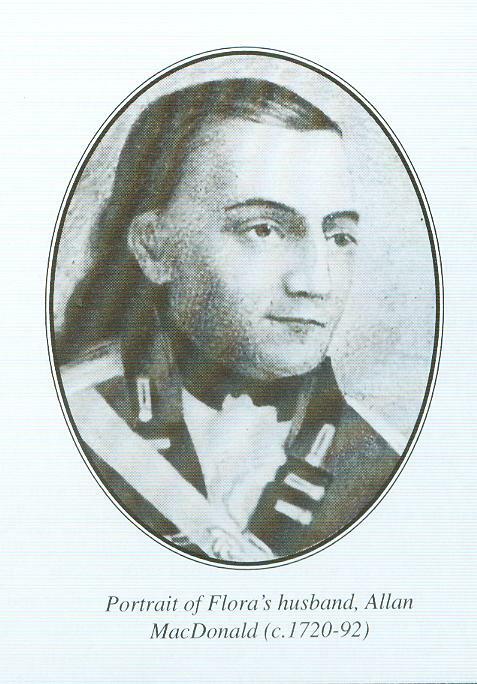 Captain Conn O'Neill of The Feeva, County Antrim, Prince Charlie's closest friend and confidant asked for her assistance to help the young royal evade capture when he learned her clan was sympathetic to the Jacobite cause. Legend has it that Flora and the Prince fell deeply in love with each other. She was beautiful and he was a dashing lovable rogue. 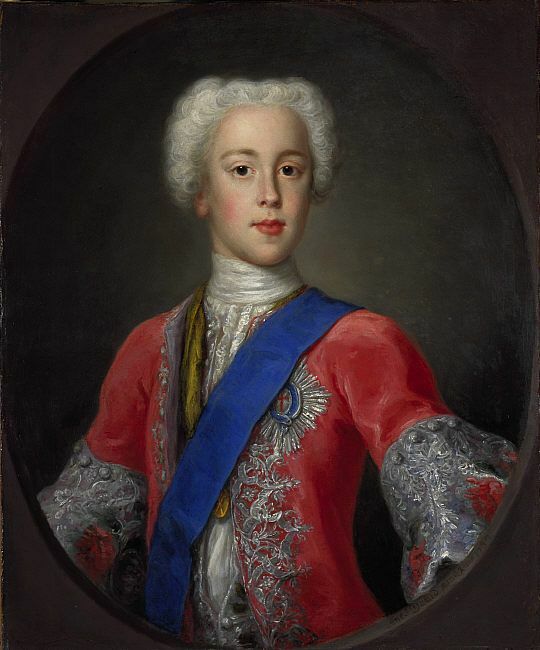 With the help of her stepfather, Hugh MacDonald, who was the commander of the local militia, the charitable Flora agreed to help the handsome prince escape. Her stepfather provided her with a pass to the mainland for her and her entourage which consisted of a manservant, a maid named Betty Burke, and a boat crew that consisted of 6 men. And who was Betty Burke? None other than Bonnie Prince Charlie himself in disguise. Soon, they ended up in a town called Kilbride on the Isle of Skye. The prince hid in rocks while Flora went for help. She arranged for him to be taken to Glam on the island of Raasay. However, while she managed the prince's escape, her boatment's loose tongues brought attention. She was arrested for aiding the prince's escape and transported to London where she was under constant supervision by guards. Her part in the escaped gained Flora great fame and popularity. While she languished in jail, Bonnie Prince Charlie fled to France, eventually moving to Rome. Plagued by alcoholism, he suffered through numerous failed relationships until he died in 1788. Fortunately for Flora, the government passed a new law called the Act of Indemnity, so she was released. Three years later, she married an army captain called Allan MacDonald of Kingsburgh. They settled down on the Isle of Sky where Flora presented her husband with seven children. When her husband;'s father died, the family moved to the family estate at Kingsburgh. Her husband took the family to North Carolina where he served in the 84th Regiment of Foot for the British Government during the American War of Independence. She encourage and urged the regiment as they headed off to the Battle of Moore's Creek Bridge, only to learn they had faced defeat and her husband had been captured. That's when poor Flora faced numerous hardships. Although she kept a low profile and hid the best she could, American Patriots ravaged her family plantation and stripped them of all their possessions. Meanwhile, her husband had been held prisoner for two years before a prisoner exchange happened and he was sent to Fort Edward in Windsor, Nova Scotia. He sent for Flora and the family was reunited. In 1779 Flora booked passage on a merchant ship in order to go back home to Scotland. During the crossing, a privateer attacked the ship. While the melee was occuring, in order to protect her, she was told to go below deck where she would be safer. She refused and did her part, but suffered a wound in her arm. Upon her return, she visited and stayed with relatives. Several years later, her husband returned and they moved back into the family estate at Kingsburgh. She died at Kingsburgh on the Isle of Skye in 1790, at the age of 68 and was buried in the Kilmuir Cemetery on the Isle of Skye. It is greatly rumored that she asked to be buried wraped in Bonnie Prince Charlie's bed sheet. 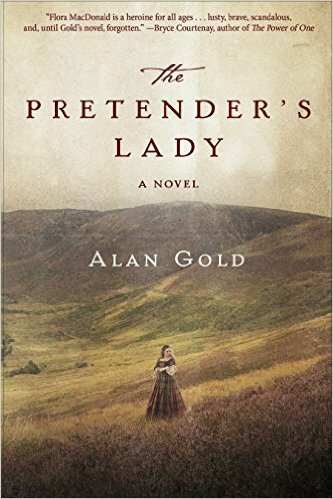 Author Alan Gold has meticulously researched Flora's life. The story is accurate, lush, and highly compelling. A definite recommendation! Awesome!